Our workshops are experiential, fun, exciting and invaluable to your emotional and physical well-being. In our workshops you will be acquiring skills that can help you through a lifetime of emotional trials and challenges. What might take weeks or months of traditional therapy can often be accomplished in a weekend workshop. The objective of our workshops is to teach participants the non-invasive process of tapping. Used properly, tapping can quickly clear away blockages by opening the meridian system to its normal capacity which allows trapped emotional energy to flow freely. Tapping works with meridians that are out of balance (which is what causes negative emotions) by adding energy into the meridian, via tapping on specific acupuncture points. At the same time, statements of intention are made that help clear these energy fields. Tapping has a balancing effect on the meridian system and the disturbing emotions or symptoms are unblocked. Our workshops are Progressive. That means, in our workshops, you will learn an advanced form of tapping to more quickly alleviate issues such as stress, anxiety, frustration, fear, weight problems, anger, chronic pain, grief, shame and so much more. It’s virtually impossible to be at your best when you are carrying around stress from work or problems from home. Fear, anxiety, pain, extra weight and other “baggage” can keep you from realizing your potential. Pro EFT™ workshops apply toward requirements for Pro EFT™ Board Certification. However, just taking the courses does not make you a certified practitioner. You must meet all of the requirements. Please read about our certification program. Therefore each day of the course would render 8 CEUs. 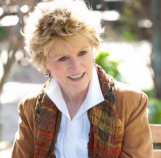 Lindsay Kenny, EFT Founding Master, has been a coach and facilitator for over 30years. She is Founder and Director of the EFT Institute and a certified Trainer of Trainers for AAMET. As an expert Life Coach, Lindsay teaches clients how to alleviate the barriers that keep them from being their best, helps them lose weight, have more energy, improve their health and assists them in living healthier, happier lives. Important note: While tapping of all kinds has produced remarkable clinical results, it has only been used in its current form since the mid-80s, and thus is still in the experimental stage. Therefore, users of tapping techniques must take complete responsibility for their use of it. Although tapping has no negative side-effects, it has been known to bring peace of mind, relaxation, a brighter outlook, better health, more energy and focus, added self-esteem. It also helps to relieve stress, anxiety, chronic pain and a multitude of other ailments and issues. So use with care. Lindsay Kenny is not a licensed health care professional and offers Pro EFT™ as a Life Coach. However, she has extensive experience in EFT and is considered one of the leading experts in the field as an EFT Master. If you would like to find another practitioner choose from our Preferred Practitioners, former students of Lindsay Kenny.